There are some companies that are just beginning to look into employee advocacy as part of an online marketing strategy. There are others that have tried launching an employee advocacy program, but haven’t had the results they hoped for. And there are even some companies that have a good employee advocacy system in place, but want to accomplish more. To address all of their questions, Sociabble is proud to offer a new employee advocacy white paper, “Boosting Employee Advocacy in a Changing World.” In this publication, we explain what employee advocacy is. We tackle the obstacles that stand in the way for many companies, and we offer 10 key strategies for making sure your next employee advocacy program is a roaring success. If you’re interested in launching an employee advocacy program, or boosting an existing one, this white paper is designed for you. In it, we cover employee advocacy best practices and employee advocacy strategy advice that can help any company succeed. 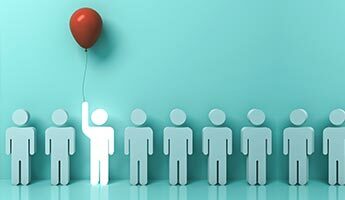 Before deciding how best to launch an initiative, or give an existing program the boost it needs, there are some out there who simply want to know, what is employee advocacy? How does it work? What does it do? Essentially, employee advocacy is when a company’s employees begin using their own online social media channels to share news about their company and share their experiences. All of which increases positive brand awareness online. Not surprisingly, consumers are more likely to trust friends than corporations. A recommendation from a trusted acquaintance carries more authenticity, and thus more credibility. Employee advocacy is a way of helping employees to become thought leaders and brand ambassadors online, and share their enthusiasm for the brand with their peers. It creates awareness organically, in a way that consumers can embrace and trust. 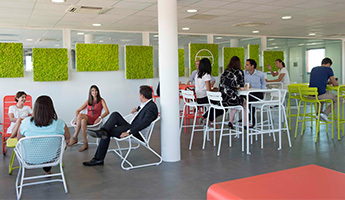 In today’s world, employees are more connected than ever, and it’s less and less via desktops. According to one study, the average adult spent over three hours a day on a mobile device. And 89% of mobile media time is spent on apps, the vast majority of which are social media related. But beyond the predominance of mobile social media and mobile devices, there are also recent factors that make employee advocacy more necessary than ever. 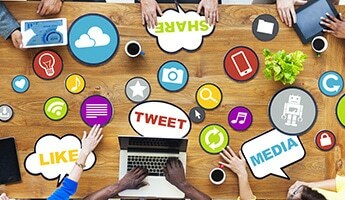 Social media algorithms have been revised to put more emphasis on user generated content, and less on branded content. The rise of influencers means that a single tweet or post from the right consumer can have more benefit that an entire online advertising campaign. Trust online is hard to come by, but with employee advocacy, trust is built organically, by real human beings with authentic feelings about a brand. Employee advocacy can be extremely effective. It can give companies and brands the power to build awareness and boost business by empowering the people who know the company best: its own employees. In fact, the numbers prove it. But that doesn’t mean that without the proper technology and methodology, it will always work. For employee advocacy to be properly adopted by employees and used correctly, it’s crucial to have the right strategy. That means from the planning and launch on through to the management and administration. In this white paper, we address the pain points many companies face in detail, and that prevent them from become effective users of employee advocacy. Because it’s not enough to simply put in the effort. Indeed, generating the adoption and engagement necessary to drive the initiative takes careful planning and execution. It involves having a solid team in place to offer support when necessary, and sticking to a schedule that assigns given tasks for different stages of the roll-out. How do we know the best way to launch an employee advocacy program? How can we say what it will take to make your initiative a success? Because we’ve already helped dozens of companies in over 80 countries around the world get their employee advocacy and communication programs off the ground. We’ve worked with leaders in every industry, names like Coca-Cola, Walt Disney, Microsoft, Groupe Renault, and L’Oreal, to name a few. We’ve overseen launches and helped steward them from start to finish. We know, from extensive experience, how to make sure your employee advocacy initiative is a success. 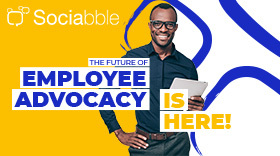 And with Sociabble, we offer a total employee advocacy solution. A comprehensive platform backed up by launch support and CSM guidance whenever you need it. 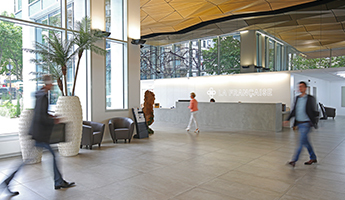 And with offices in Paris, New York, London, and Mumbai, we’re never far away. To download the latest white paper and learn how to boost your employee advocacy in a changing world, click here. And if you’d like to try a free demo and see Sociabble in action, click here.